Sam Boggiss, a 2011 YiA Junior Category winner has been working in the Priority One office during his summer holidays before returning to Dunedin to finish his final year studying medicine at the University of Otago. 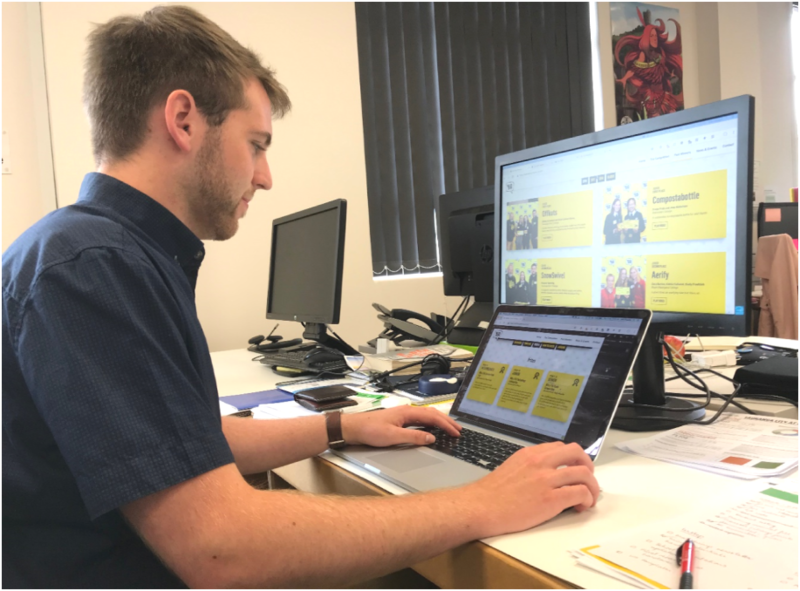 As a Priority One intern, Sam was tasked with updating and improving the functionality of the Young Innovator Awards (YiA) website for students and teachers. We think you will be suitably impressed with Sam’s work when you check it out at www.yia.co.nz. Thanks to the team at Priority One for the opportunity to give back to YiA over the past three months. My time at Priority One has also inspired me to keep innovating as I move into the health system. I plan to stay involved with YiA in the future, and can’t wait to see what ideas the next group of young innovators come up with! We thank Sam for all his creative and technical expertise. We will miss having him around as part of the Priority One team and we wish him all the best for a successful 2019. We look forward to him returning home one day to work in the Bay!